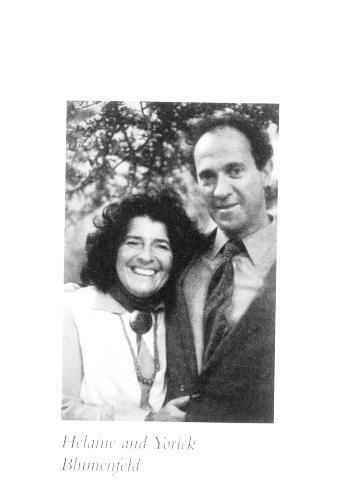 Yorick Blumenfeld ’54, right, with his wife Helaine. While most members of this year’s fiftieth anniversary class will spend reunion week thinking about the past, Yorick Blumenfeld ’54’s mind has always been on the future. A few years out of Harvard, Blumenfeld found himself worried over what he perceived as an increasing risk of nuclear annihilation. With the Cold War heating up and foreign tensions nearing their height, most people simply hid under their school desks or purchased fallout shelters. Blumenthal decided to take slightly more drastic measures. In 1962, Blumenfeld embarked to the South Pacific with his then-girlfriend Helaine (now his wife of more than 40 years) and a group of friends. Philia, an international community, was born. The emigrants settled in the area of Nelson, a town on the northern coast of New Zealand’s south island. Similar communities had already been established near the town, including groups of conscientious objectors who moved to the region before World War I.
Cinema fans will note a similarity between the New Zealand settlement and the 1959 anti-war picture “On the Beach,” about post-nuclear war Australians living out their last months with the specter of radioactive clouds approaching the continent. While Philia members took jobs in Nelson to help provide funds—“we had to be very pragmatic,” Blumenfeld says —the community suffered from an occasionally hostile environment. “At one time I remember there was a book burning session in the town, where they threw A Tree Grows in Brooklyn because they thought it was pornographic,” Blumenfeld says. The community did not last for long. Fiscal difficulties plagued Philia, and the founder’s attempts to secure financial backing for the venture were less than successful. Blumenfeld took leave from the South Pacific to visit wealthy friends in Europe, whom he hoped would provide backing. But he said that political difficulties nixed any hopes he had of securing funds. “I was declared persona non grata by the New Zealand government and I couldn’t return,” he explains.